That was totally cool. How do they DO that stuff!!? So, uh, could we get a link to the video? WOW! Especially when he was upside down, and then he swung over to the sides! These girls could make great livings as ninjas. COOL!!!! Go ninjas. Go girl-power. My new resolution is to be a monkey queen. Wow. Look at his biceps. That fellow is strong. Woot!!!!! 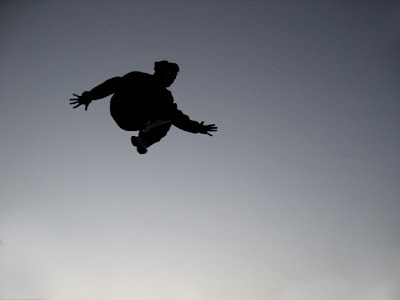 I love parkour!!! I first saw it on top gear!!! (James may and parkour) also I just saw paranomal activity the ending was REALING creepy but before that it wasn't creepy!!!! Any way good night to all!!!! my new resolution is to be like this by the end of the year. i'll never use a ladder again! OMG i have been looking for girls doing parkour for AGES!! Fantastic!